Move in Ready! Beautiful kitchen with granite countertops, walk-in pantry and stainless steel appliances with double oven and drop in gas cooktop. Out back you will find a covered deck with captivating views of the mountains. This home backs to the greenbelt and sits on corner lot. The 3 car tandem garage is great for storage or toys. Relax in the master bedroom with sitting retreat. The stunning 5-piece master bathroom has a dual headed shower with his and her closets. The main level bedroom is great for multi-generational needs or visiting guests. 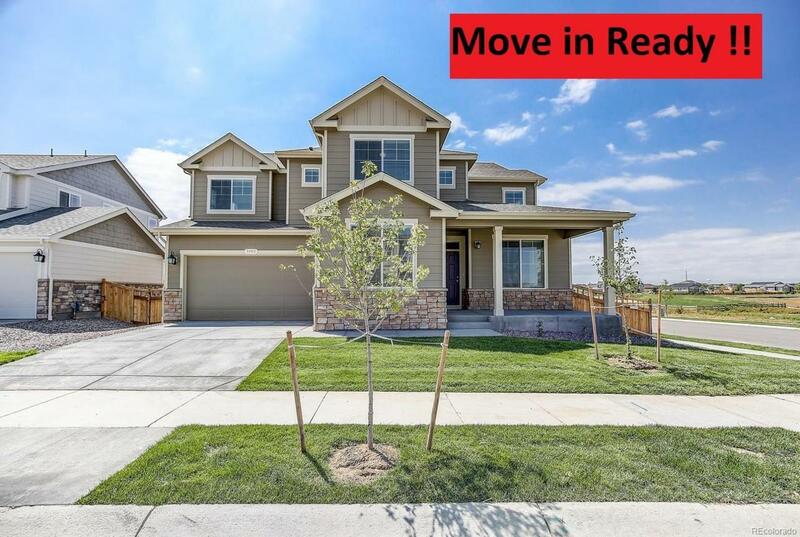 Where else would you find a home at this price in a prestigious community like Brighton Crossing? Brighton Crossing includes two private pools, two community recreation centers, several parks, and is close to lots of shopping. Easy access to I-76 for commutes to Denver, DIA & Boulder . Builder 2-10 Limited Warranty.